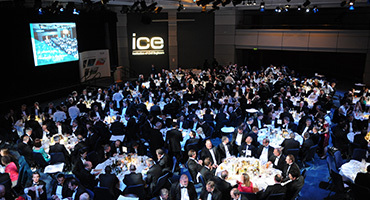 ICE West Midlands organises a number of competitions and awards to celebrate the achievements of civil engineers and recognise outstanding work in the region. Find out more about the regional awards and competitions. Are you proud of your project, part of an outstanding team, or have worked on a significant research project? Applications for the ICE West Midlands Annual Awards 2019 - the regional showcase for civil engineering excellence is open . ICE West Midlands recognises high-achieving technicians every year by presenting a Technician Award to those nominated by their colleges or universities. To enter, you need to register your intent to join the competition by completing and sending the Pitch 200 Entry Form and 60 second summary video to [email protected] by 22 January 2018. Registration of intent to join the competition by submitting 60 second summary video via We Transfer by 22 January 2018 to the East & West Midlands Regional Support Team. The 2018 joint East and West Midlands Pitch 200 regional and national winner is Imogen Graves of LM JV. Each year, colleges and universities in the West Midlands are asked to nominate a student who has performed at an outstanding level whilst studying for a National Certificate or Diploma, Edexcel BTEC Level 3 Diploma or Extended Diploma, Higher National Certificate or Diploma, or Foundation Degree. The Emerging Engineers Award promotes and rewards outstanding communication of civil engineering ideas and research. It offers ICE Student, Graduate and trainee Technician members the opportunity to submit a paper on any civil engineering-related topic in the format of research, a report or essay. Win a cash prize at the Regional Final and ultimately the National Final if shortlisted. The three finalists will receive free tickets to the West Midlands Annual Awards Dinner on Wednesday 22 May 2019 where the regional winner will be announced. The regional winner will be shortlisted for the Emerging Engineers Award Final where the prestigious Institution Medal and further cash prizes can be won. The West Midlands region 2019 EEA is open to all current ICE Student, Graduate and Trainee Technician members who live, work or study in the West Midlands region. To enter send your 400 word synopsis and a completed entry form to ICE West Midlands Graduates and Students Committee [email protected] by Friday 22 February 2019. Final copies of your paper (if selected) will need to be submitted by Friday 26 April 2019. The Regional Final for those who are successfully shortlisted will be held on Tuesday 14 May 2019. Please make sure you can attend to present your paper in front of the judges. Are you a keen photographer? Do you have an artistic side? If so, it would be great to see your creative vision of civil engineering in the West Midlands. This isn't a competition about photography skills. ICE West Midlands is simply looking for images that raise the profile of the profession and help the public understand civil engineering. The winner will receive two tickets for the ICE West Midlands Annual Awards on 21 May 2015. Submit up to three images taken in the ICE West Midlands region - Birmingham, Shropshire, Coventry and Warwickshire, Hereford and Worcester, and Staffordshire. The judges are looking for your own interpretation of what embodies civil engineering, such as landscapes, structure, buildings or people. Images must be sent in digital format to [email protected] no later than Friday 10 April 2015. Please remember to include your name, contact details, details about the picture, type of camera and, if appropriate, settings used. Follow ICEWESTMIDLANDSREGION on Instagram and tag your photos with #thisiscivilengineeringWM. Winner to be announced in April 2015.